Halloween is one of those holidays where there are lots of opportunities to get creative and create unique crafts, decorations, and costumes. The best part is that you can do all of this on a budget! Halloween is one of those holidays where there are no rules. Follow these 8 Frugal Tips to a Fun Halloween and you’ll be sure to impress your friends and neighbors! Dressing up is one of the most fun parts of Halloween! There’s no reason you need to visit a store and spend $50 on a costume that looks just like everyone else’s. Many shy away from making their own because they’re worried they won’t turn out. That’s why it’s important to keep things simple, especially for beginners. One easy frugal costume is to grab animal ears, a matching patterned shirt, and some construction paper. Make a red heart, write TY on it, and pin to your shirt. You’re a Beanie Baby! Another easy costume idea for a child is simply to make a cape out of an old t-shirt. All you have to do is cut the sleeves off, a wide circular cut around the collar, and attach velcro to the homemade straps. There are so many different designs of duct tape these days. All of them will cost you about $3 bucks a roll. Grab a fun style of tape such as tye dye, leopard print, or neon. Then all you have to do is take your pumpkins, no matter what size, and wrap them in the duct tape for an inexpensive and unique decoration. Another fun decoration is bodies made out of packing tape! First, wrap your body parts in saran wrap. Then remove the saran wrap once it’s molded, stuff it with newspaper, and wrap it in packing tape. 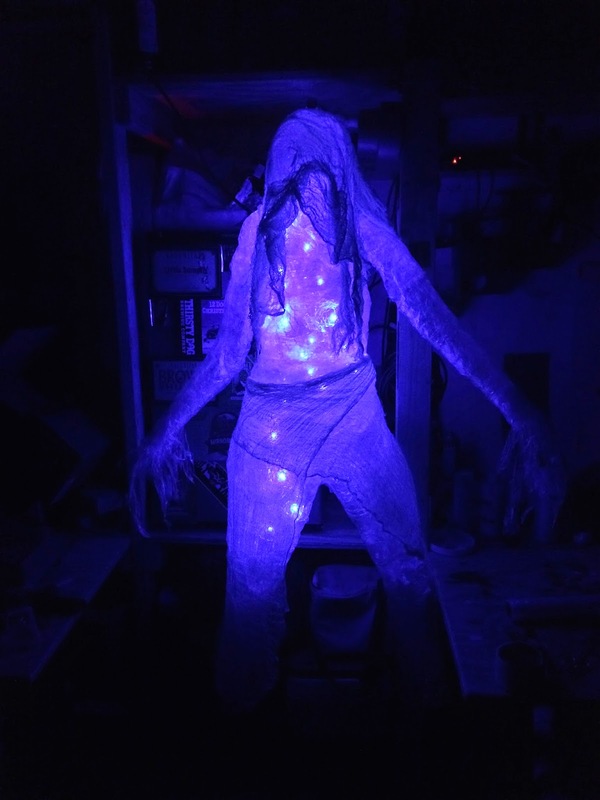 You can connect all the body parts to make an eery see-thru skeleton or scatter the body parts around your yard to creep out the neighbors! If you have a child in school, you will most likely be asked to bring in a Halloween snack! Luckily you can make creative ones that require minimal effort and money yet still taste great and are healthy! 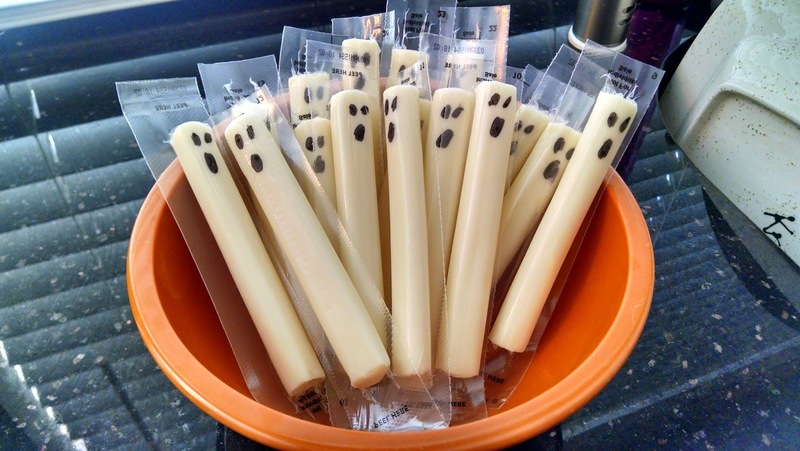 A quick and easy idea is to decorate a string cheese as a ghost. All you have to do is take a black marker to create eyes and a mouth on the string cheese packaging. Another cheap and easy snack is to peel a handful of oranges or tangerines. They look like pumpkins! For the step, you can use anything green such as a piece of celery. You don’t have to break the budget to create a tasty and festive meal for your family. Stuffed peppers are already a budget-friendly meal. You can make them Halloween themed by purchasing yellow peppers and cutting triangles out for eyes and a half circle for the mouth. Now, you have cute little jack-o-lanterns! These would even be great for a party. If you have kids, they will go crazy over pumpkin quesadillas! You can cut the shell in a pumpkin shape and cut out eyes and a mouth too! If you want to make Halloween crafts, chances are that you don’t even need to run to the store for supplies. Instead, raid your recycling bin. Milk jugs can become ghosts. Just paint them white or cover them with construction paper. Then draw on black eyes. Chances are you have a plethora of toilet paper roll tubes and paper towel roll tubes. 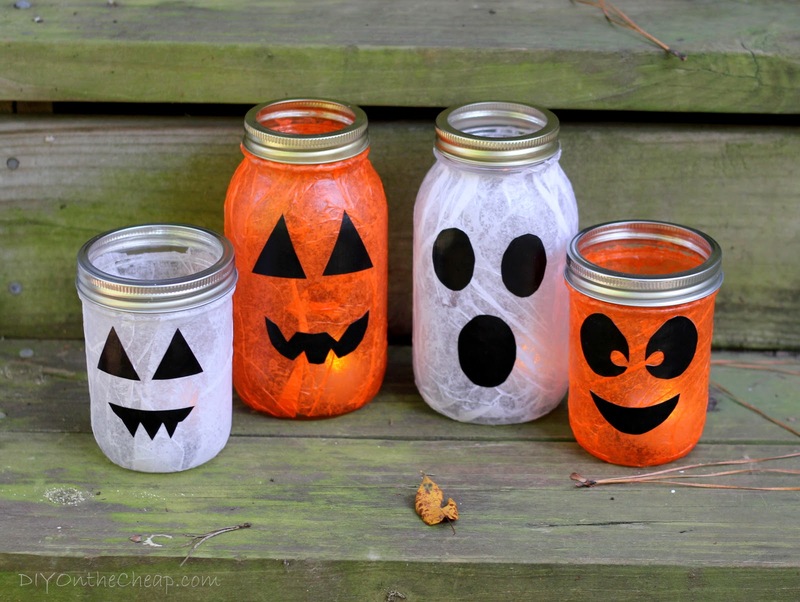 These are perfect for Halloween crafts! You can paint them green for Frankenstein, white for ghosts, orange for pumpkins, or black for witches! They also stand straight up, making them the perfect decoration to put on your tables or window sills. If you want them to glow, you can set them over tea lights. 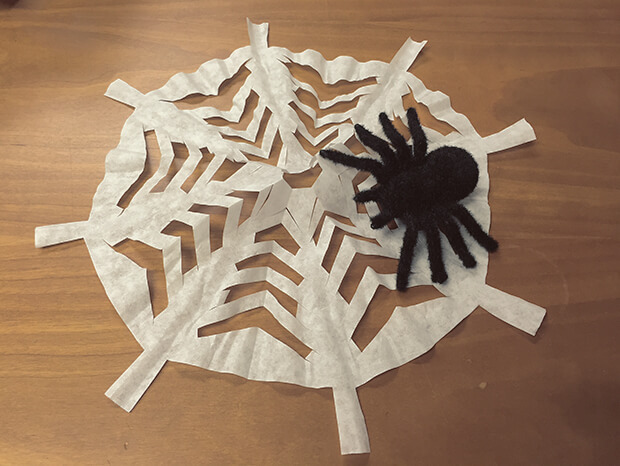 One of the easiest and cheapest decorations you can make is spider webs from coffee filters! All you have to do is cut a decoration into the filter. You can purchase inexpensive plastic spiders from the dollar store to also glue on. These look cute hanging so simply attach a string and dangle them in your windows or on your porch! They’re so simple to make yet super spooky! If you’re looking for a completely free Halloween decoration, look outside your front door! Chances are that you have lots of leaves and are unsure of what to do with them. There are plenty of decorations you can make with fall foliage. You can string them together as fall festive garland! An additional inexpensive idea is to pick up pumpkin trash bags from the local dollar store. Stuff these full of leaves and you’ve got yourself Halloween decorations that take minimum effort. If you want to make your yard look spooky, invest in eyes! You can either purchase different size googly eyes or create your own out of felt. Then have fun with them. Scatter them across your trees, add them to pumpkins, and place them on your front lawn to create a Halloween feel for your whole yard! If you have big trees, try turning beach balls into eyeballs! So what did you think of our list? 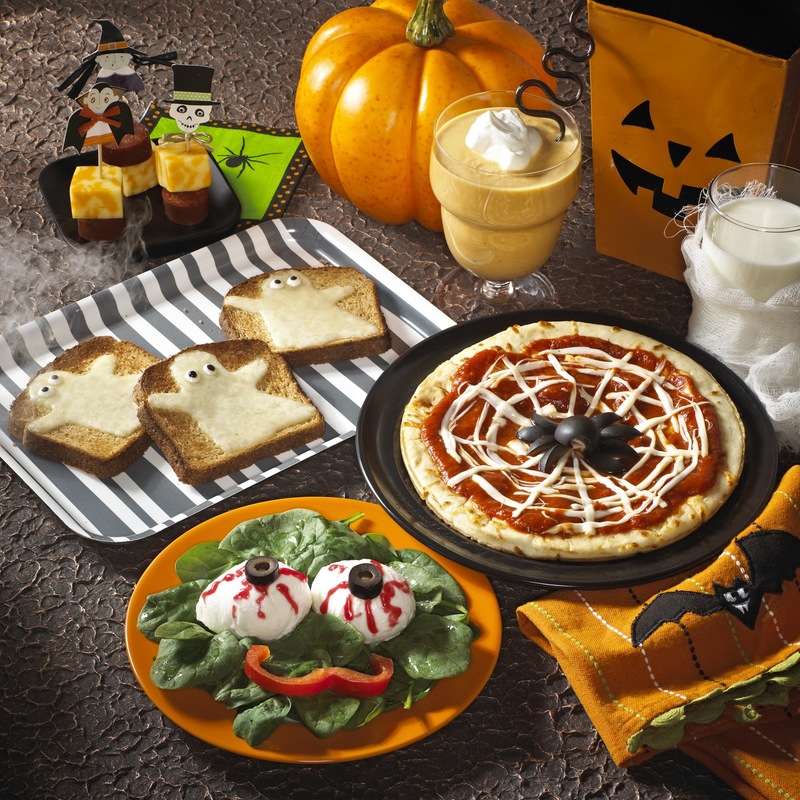 Are there any frugal Halloween ideas or traditions that you and your family partake in? If so, let us know in the comment section!